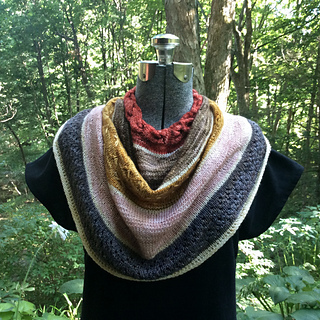 Beginning with a cabled neckline, this cowl cascades in gentle swirls around your neck and shoulders. 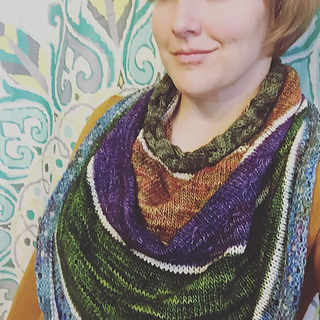 The pattern includes a bit of shaping, a bit of texture, and many opportunities for color-play. 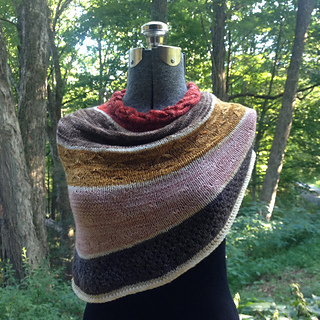 Create a dramatic addition to your wardrobe with a mini-skein set or yarn left over from your favorite projects. Style your Letterpress with the drape in front, or wear it over one shoulder for asymmetric flair. six mini-skeins of 80 yards each. 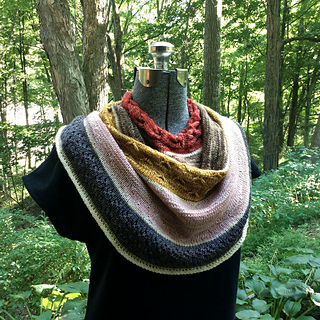 for a light, dark, or neutral yarn.